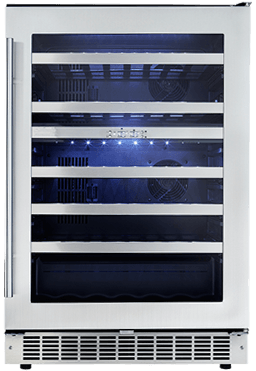 Your wine cellar or beverage center is designed to operate at room temperature 68°F to 79°F (20°C to 26°C). All residential appliances have areas where electrical connections are not protected from moisture. If water/ moisture can get into these unprotected areas then there is a risk of creating electrical shortages which may cause premature component failure. Using your Silhouette appliance outdoors will void your warranty. How much ice (lbs.) 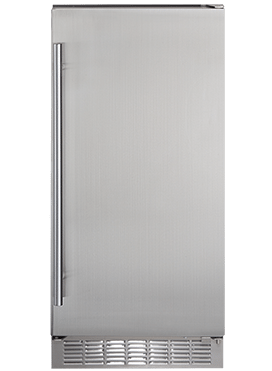 does the ice maker in the 3-in-1 Entertaining Center generate in a 24 hour period (if continuously used)? The 3-in-1 Entertaining Center is able to produce 8 lbs of ice in a 24 hour period and can store up to 4 lbs. 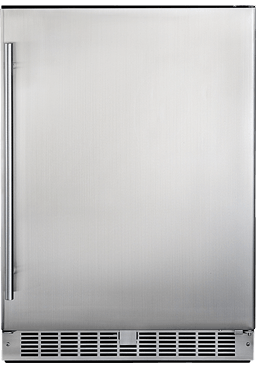 Will the ice maker in the 3-in-1 Entertaining Center keep the ice frozen? 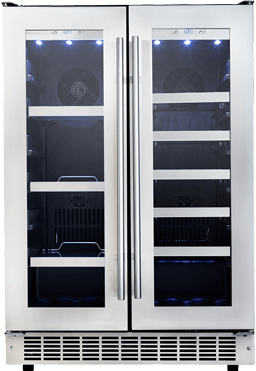 Yes, the freezer in the 3-in-1 Entertaining Center is designed to both make and store ice with a temperature minimum of 28°F (-2°C).